After taking Gaza, Alexander moved south into Egypt where he founded Alexandria. Wise Aristander prophesied that the city would prosper, and that chief among its blessing would be ‘the fruits of the earth’. It seems Aristander was referring to Alexandria’s status as a ‘great centre of trade’* but maybe, without realising it, he was also prophesying Alexandria’s rise as the foremost city of knowledge under Ptolemaic rule. The Museum is gone now, even in your age it was failing, but under the Ptolemies, the library became the greatest of its age as scribes copied and scholars studied the most important works ever written. Having said that, I wonder if we are guilty of over praising the library. I speak under correction, but am I not right to say that it was only used by Greeks? And furthermore, that the Ptolemies were not interested in storing manuscripts for the greater good of Mankind but – by owning or deciding the definitive texts of works – to make themselves the rulers, as it were, of knowledge. This is definitely something I need to learn more about. You say that Alexander went to Siwah either to find out if he was descended from Ammon-Zeus ‘or at any rate to say that he had obtained’ information to that effect. This scepticism regarding his divine status is traced by your translator back to Ptolemy; the same Ptolemy who expects us to believe that snakes lead Alexander and his party through the desert. What is going on? It could be that the fantastical story of the snakes hides a simpler truth – that snakes were seen at a vital moment and then interpreted afterwards as having lead Alexander to Siwah. Or maybe Ptolemy was just being pragmatic: he had no interest in emphasising Alexander’s divinity but had good reason to put out the snake story. 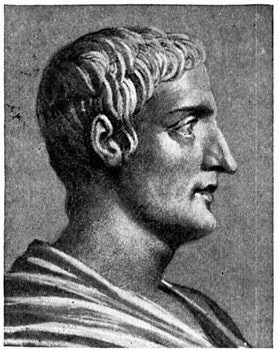 To be honest, the former option makes more sense to me; I don’t understand why Ptolemy would have chosen to downplay Alexander’s assertion of divinity, especially given the way he used Alexander’s corpse after the latter’s death and (as I think happened) let it be known that he was Alexander’s half-brother. You record that at Siwah, Alexander received ‘the answer which his heart desired’, but do not go into any detail regarding what that answer was. Thanks to Plutarch (via Callisthenes) I understand that Alexander found out that he was indeed the son of Ammon-Zeus but how I wish I knew the detail of Alexander’s understanding of his origin! Many a thing that can seem simple can fool us by its appearance. I wish you had said more, dear friend, but at least I can fall back on the work of other scholars. He must indeed have been very concerned about not letting the country, with all its resources and wealth, fall into the hands of a rival. ** You note that Alexander meant for there to be two satraps (‘provincial governors’) but that the second declined to take up his post. I wonder why Alexander did not pick another man?